Happy Thanksgiving From The Maria Babaev Team! 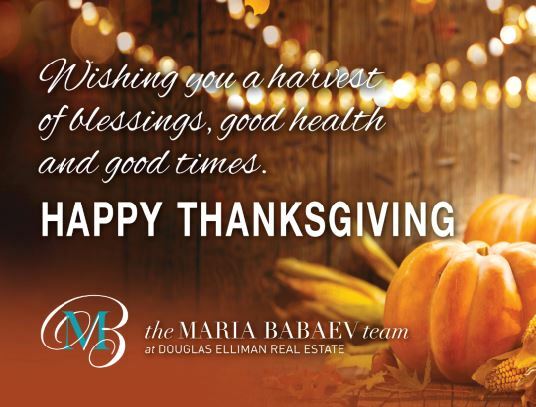 Happy Thanksgiving from all of us at The Maria Babaev Team! NextHappy Hanukkah From The Maria Babaev Team! Townhomes: A Growing Option for 2013?